Not sure if you call these candy dishes or planters or cat bowls. So I’m calling it a milk glass thingie. You can buy one of these milk glass thingies at practically any thrift store in any city on any day. Oh, did I mention these succulents are rubber? Yeah. I got tired of my real ones dying. Rubber doesn’t get all picky about when you water it. Or the amount of sunshine it gets. Plus you can throw it in a closet if you get tired of it. And best of all, they are amazingly life-like. If you think about it, most succulents pretty much feel rubbery, so why not skip the hassle and just buy rubber! I said rubber, not rubbers. Get your mind out of the gutter. Now, normally I wouldn’t do a tutorial on something this simple, but you know what? There’s a lot of readers out there that may like the look, but not exactly sure how to pull it off. So if you’re bored already, just scroll on down to see the photo of my red truck 🙂 Otherwise, let’s get on with it! 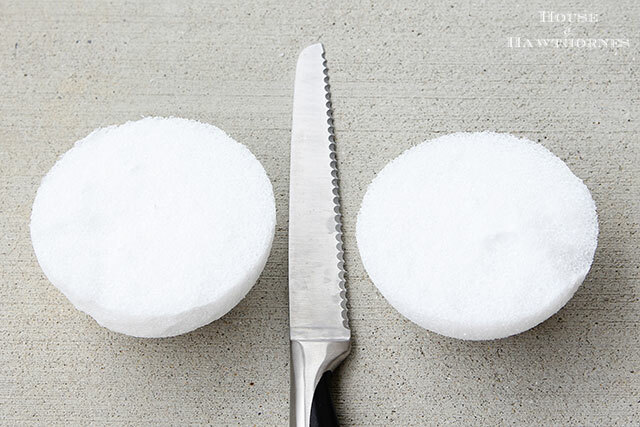 Cut your styrofoam to fit your container. In my case I had a round bowl, so I cut my ball in half. This part is optional, but to give it a more finished look you can spray adhesive on the part of the styrofoam that will face up. And then sprinkle sand over the adhesive. Followed by spending half an hour trying to scrub the adhesive and sand out of your fingernails, because you thought it would be a good idea to just hold the ball in your hand while spraying and sprinkling. 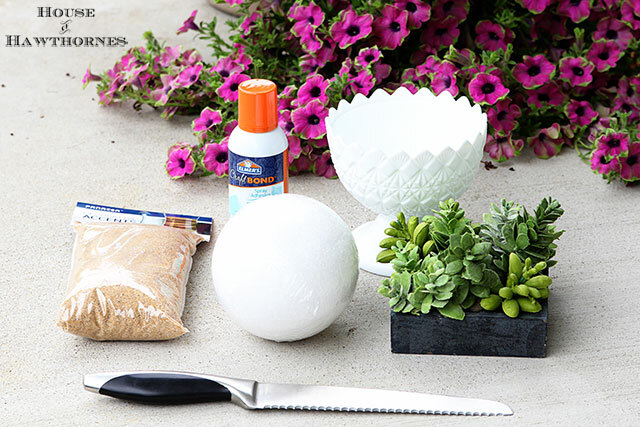 Place the sand covered ball in your thingie and one by one poke your succulents into the styrofoam. Until you have it covered. And you’re patting yourself on the back. I used all the succulents I had, but you could certainly do it with less. Where do you find rubber succulents? I bought mine as part of a pre-done “planter” at the local supermarket and then just took them out of their display and put them in mine. I’ve also seen these rubber succulents sold in bags at Walmart and sold individually at Hobby Lobby and most of the other craft stores. 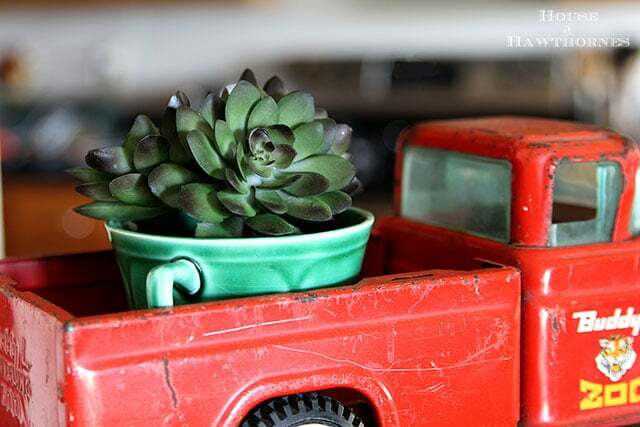 These are some rubber succulents “planted” in a teacup in the back of my red toy truck. So to sum it up. Rubber is your friend. 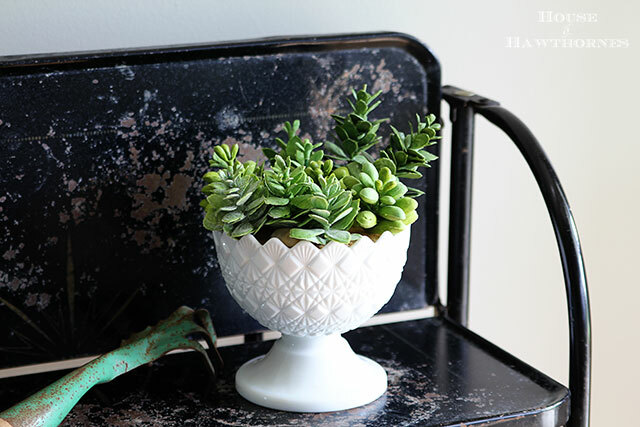 Reuse those milk glass thingies you find in thrift stores. 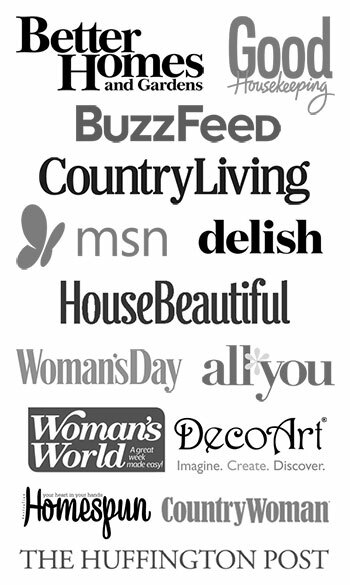 Read my blog often. Love those in your pretty milk glass, I would have never guessed they weren’t real! I have rubber succulents too! Love your planter. 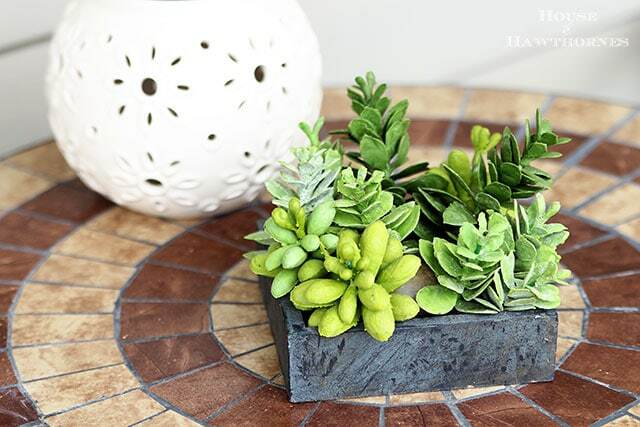 Since I frequent lots of yard sales, I have lots of funky containers and I have been thinking about the succulent craze that is sweeping blog land. While I can grow things pretty well, sometimes it’s nice to have something that looks good and is low care. This would be appealing to people, Pam. I think I have to go shopping for some rubber plants that really mimic the rubbery real ones. 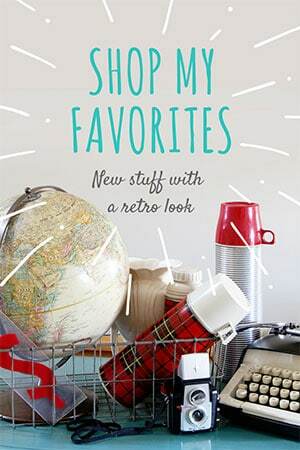 Hey, since this is your fouth post on recycling your finds, I think we can say you’ve hit a grand slam! I love your idea of rubber succulents. I don’t know how many of these I have killed myself – the only ones living are some I threw in a pot on the patio out of exasperation and just left them to their own defense. They are doing great. I love yard sales and thrift shops for finding great containers also. ((Hi!)) I wonder how on earth succulents got to be the NEW BIG THING? You are right, you can purchase a milk glass thingy at any given thrift on any given day. Who would have thought those would be popular either? What will be popular next? Don’t you wish we could figure that out and go buy IT ALL? I’ve got my money on Country Geese. NOT! I have some milk glass in my hutch that needs this! Great idea! I really look forward to your posts- you have a wonderfully quirky sense of humor! Wish you lived next door! I love this! And you made me laugh about sand/glue under the fingernails. Sounds like something I would do! It’s very fetching! Can’t tell it isn’t real. I may have to try those out. The rake in the second pic is a little freaky. Looks like a creepy stretch-arm-strong from hand. I honestly thought these were real!! Love this! I love this look so much, it reminds me of my gramma and her country house. And I kill plants like its my job. 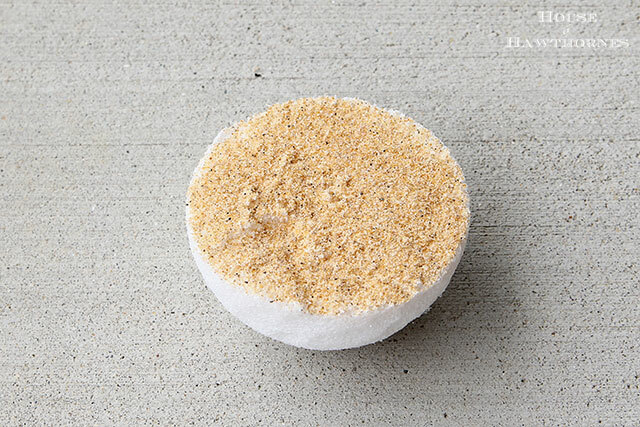 Hey Pam….clever idea…love the “sand” ~ never thought of that! 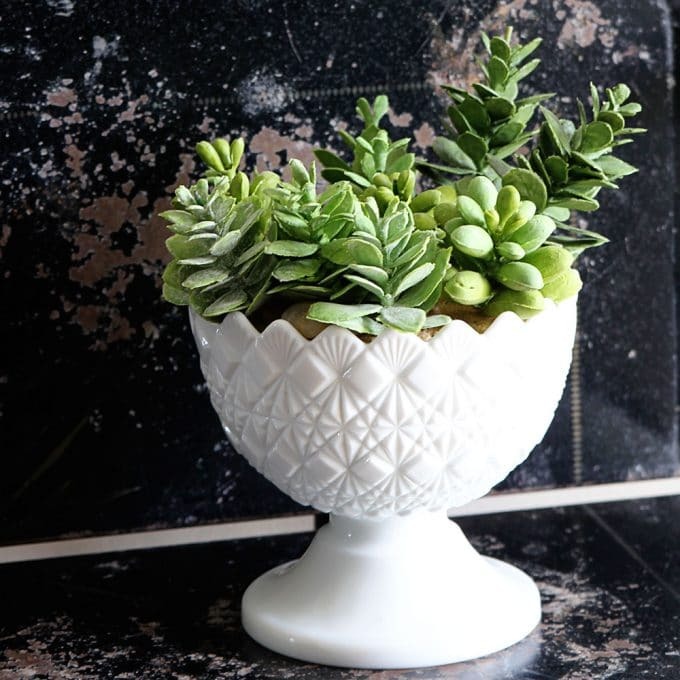 I used some fake succulents in my bathroom because the kept on dying…it’s amazing how real they look! They’re real and they’re spectacular! (couldn’t resist the Seinfeld reference). Beautiful! I had no idea they were faux until I read through your post. Pinning! Great idea Pam! It looks fabulous! 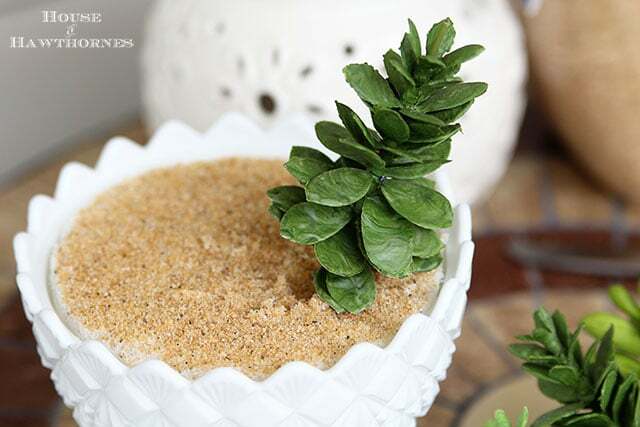 Adding the sand is a great extra touch too! Never would have thought they were fake either. 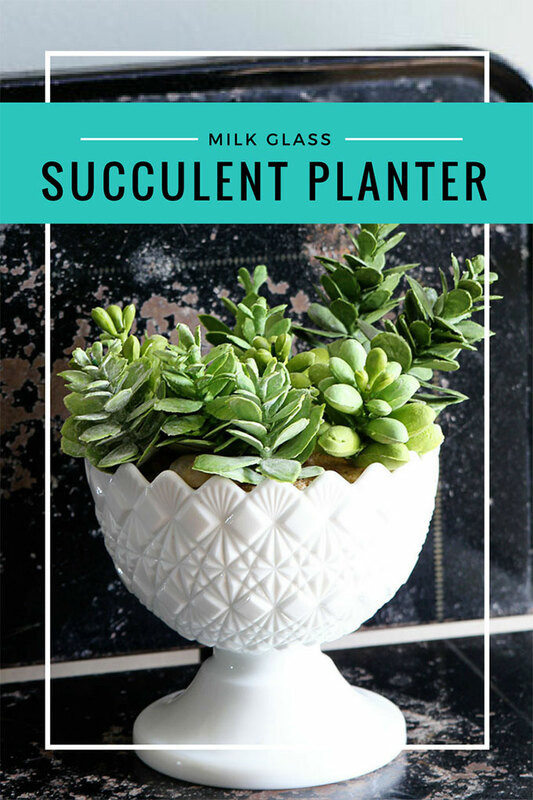 Loved what you did with the milk glass and the succulents. Very creative and very pretty. The sand is the perfect touch. I wouldn’t have even thought of that detail. lol, love your sense of humor!!!! and I had to follow the tutorial…..I must do this, and I think rubber could be my new friend…cute!!! much better in re purposed vintage containers for sure !!! 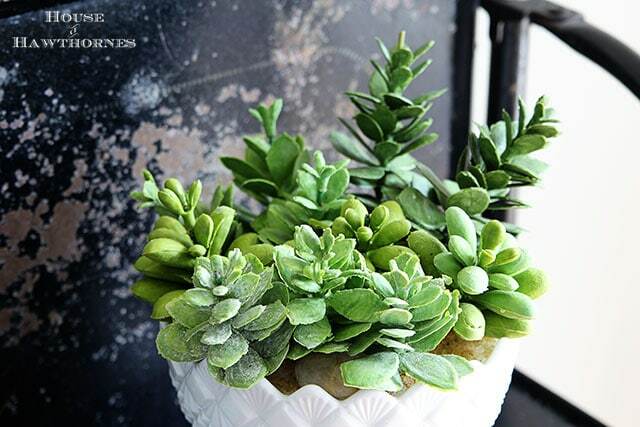 I swear if I kill my succulents one more time I’m getting some of this beautisul faux ones! I never knew they could look so pretty! Your rubbers are pretty darn real looking, Pam! hehe My niece received a rubber arrangement that looked so real she watered it for about 2 months until my sister told her it wasn’t real. What a hoot! So if you give one as a gift, it’s probably a good idea to add care instructions.